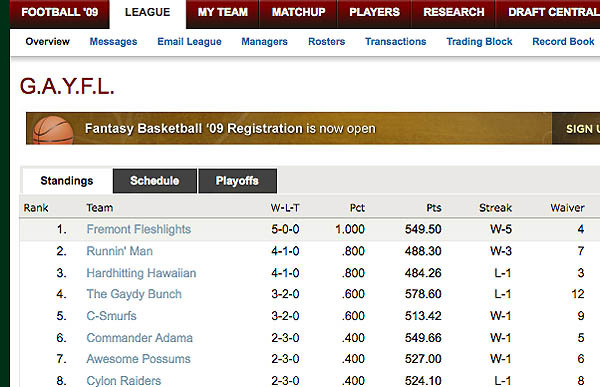 after 5 weeks of this early season, i am at the top of the fantasy football league with a healthy 5-0 record. the first few weeks, i thought it might have been flukey and didn’t want to talk about. considering that i only won 4 games last year, i am pretty happy to get to 5 wins already this year. next up, noah’s battlestar galactica-piloted team. i also wanted to post this to be able to use the word “fleshlight” on my website.